Stacked upper cabinets will give your kitchen reface an aesthetic boost and loads more storage! You may be asking yourself, “What are stacked upper cabinets?” It’s when the upper cabinets have an additional cabinet above them. 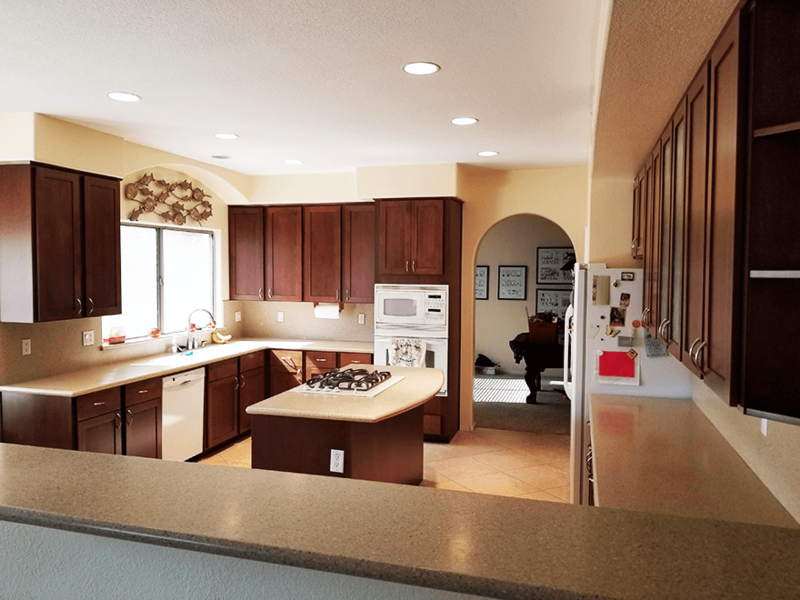 Running the additional top row of cabinets up to the ceiling eliminates the dust that usually accumulates atop, and it also provides additional storage for those kitchen items seldom used. Another option would be to install glass panels to the top stack with lighting inside to display decorative pieces or fine china. Stacked upper cabinets are not only aesthetically pleasing but also add a lot of storage space. And really, when does a kitchen have too much storage? 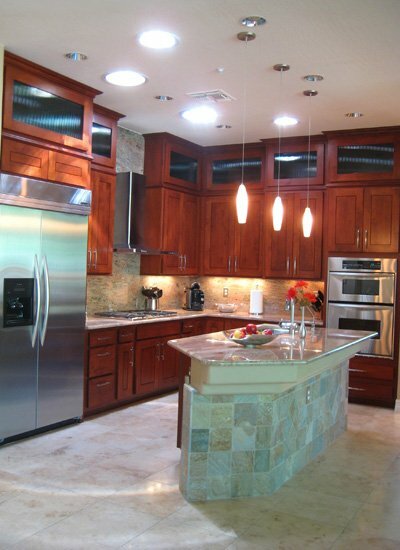 In recent years, Better Than New Kitchens has added stacked upper cabinets to several of its kitchen refaces. Adding a few additional upper cabinets to an existing kitchen footprint can really transform it without the expense of an entirely new kitchen. 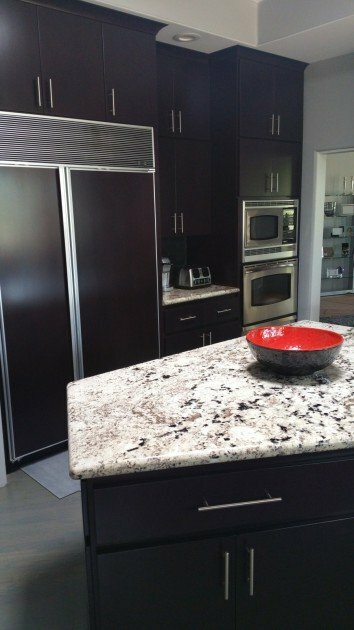 Below is an example of how much a kitchen can be transformed with a reface adding stacked upper cabinets. 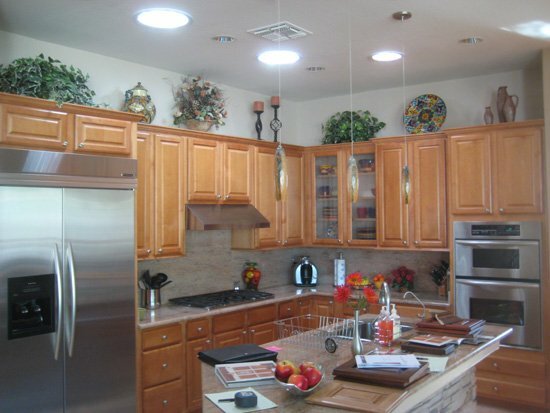 These clients live in Paradise Valley and remodeled the house throughout prior to moving in. 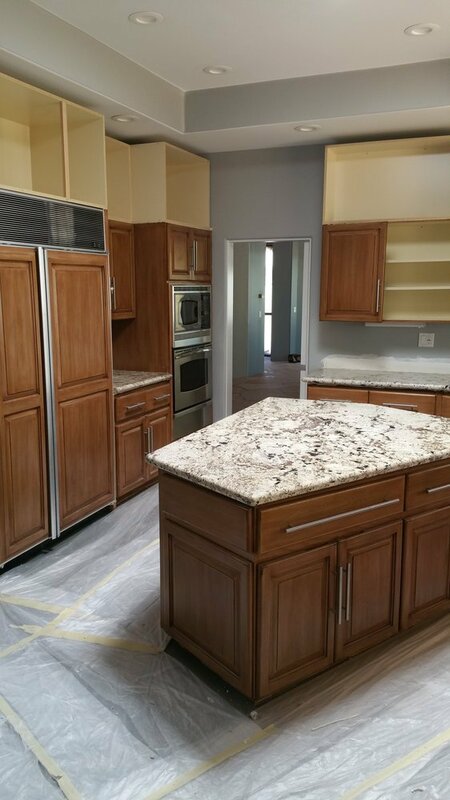 Better Than New Kitchen & Fine Furniture Repair were hired to not only reface the kitchen, but to also add cabinets in the dining room and built-in shelves in the living room. 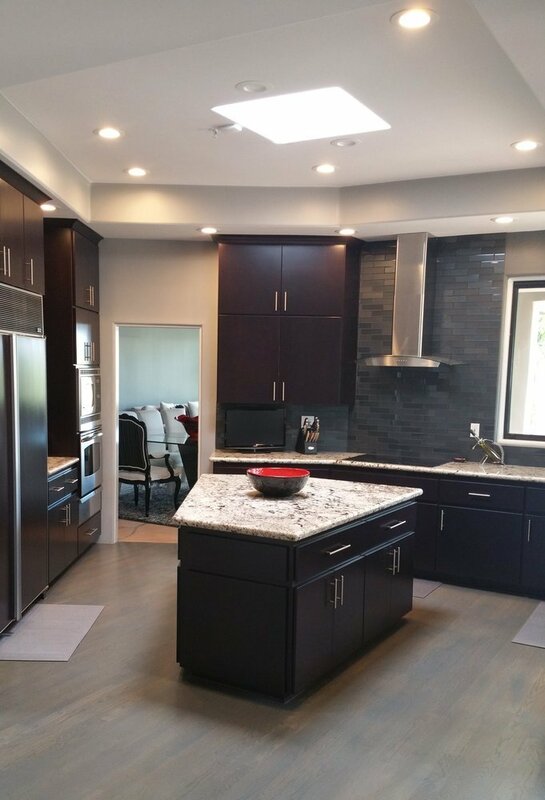 This next example shows an old out-dated kitchen in Scottsdale, Arizona that is transformed with stacked upper cabinets with semi-opaque glass panels. No more dusting on top of the cabinets! 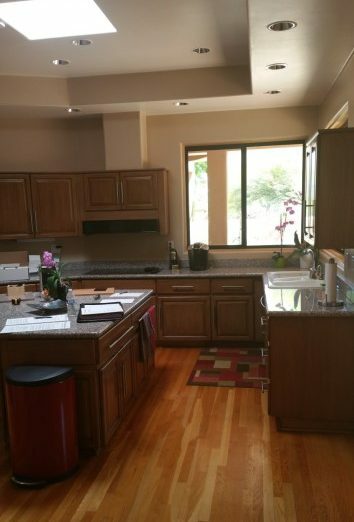 I can just imagine all the dust on top of those cabinets in the before picture. Yikes! The new look is sleek and stylish with so much more storage space, and no more dust! The semi-opaque glass provides privacy for functional storage and an additional style element further accenting the kitchen.